September is an exciting time as it is the London Design Festival which centres on East London. I have got together with couple of my fellow Teepee Glass artists to organise a special exhibition of high quality craft with a design edge. 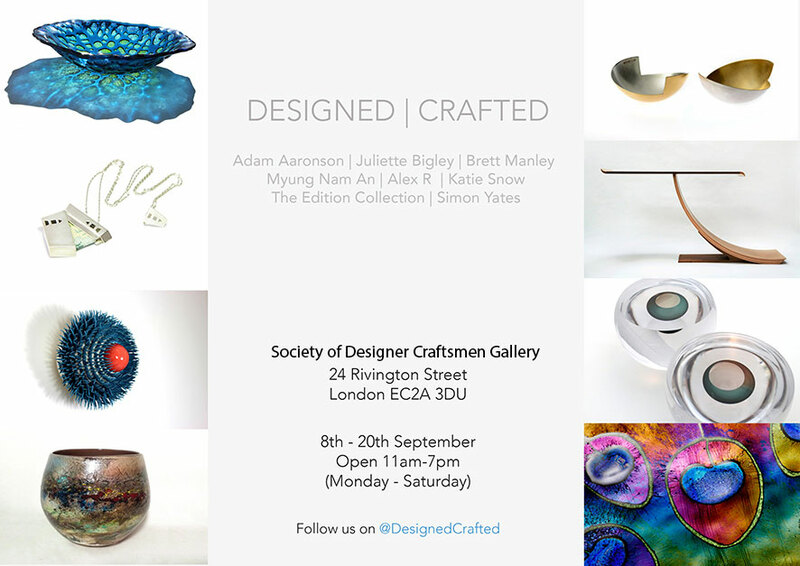 We are thrilled to be presenting the work of eight makers including glass, silver, ceramics and furniture in the show Designed | Crafted which will be opened in a beautiful gallery space in Rivington Street in the heart of the Old Street design district during London Design Festival. And if you are on Twitter, please do follow us on @DesignedCrafted and spread the word!